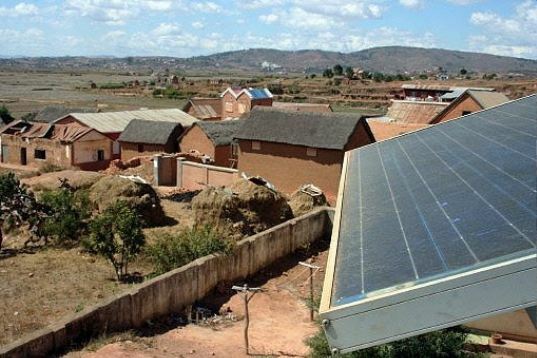 A demonstration solar village project has been launched in a remote area of Ampasina Maningory, about 500 kilometres from the capital, Antananarivo. Far from the city, Ampasina Maningory has a population of 1200 and is not connected to the national electricity grid. US$58,000 were donated by UNESCO to this solar village project. 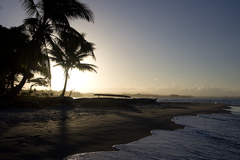 The Madagascar government financed customs duty on solar equipment, installation costs and transport. The solar systems have been operational since 2001 and generate electricity for: Lighting in two primary schools, lighting and vaccine refrigeration for a small rural hospital, lighting of a local government office block, and six street lamps. The installations of the solar systems were undertaken by engineers and technicians from the Department of Energy. Funds provided by UNESCO will cover additional installation of four street lamps, one with a battery charging station, and the training of three local technicians, responsible for the maintenance of the systems. So far, one local person has been trained in the basic maintenance of solar systems.